where we are dedicated to enabling our patients to achieve their optimal health in a supportive and caring environment. By fusing conventional and complementary healthcare approaches, along with our relentless attention to the latest medical research, we are able to develop a customized plan to help individuals maximize their vitality and wellbeing. "Within a few months my tumor markers were undetectable. I'm living proof Dr. Rosenberg's program is working." Mary Nesbitt, Security Consultant"
"It's been about 10 months now since I started this plan." Since that first week of weighing in, the scale has gone down and never risen. There have been times when things needed to be changed but ..."
Dr. Mark Rosenberg received his doctorate in medicine from Georgetown University in 1988, and is board-certified by the American Board of Emergency Medicine. 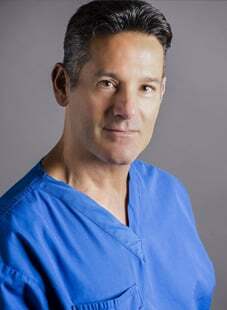 Dr. Rosenberg also serves on the board of directors for the American Academy of Anti-Aging medicine, and is an advisor and lecturer for the academy. In addition to being an astute clinician, Dr. Rosenberg is a research scientist, and is actively involved in the development of drugs and techniques to combat cancer, obesity, and age-related diseases. He holds a patent-pending on a novel drug for obesity, as well as a patent-pending for a cancer "cocktail," designed to specifically attack resistant cancer cells. The Foundation for Alternative and Integrative Medicine's (FAIM) mission is to create a site where experts in alternative and integrative medicine can share cutting edge discoveries and theories on how to help discerning readers heal and maintain wellness. Currently there are over 70 experts participating as Guest Writers on the FAIM site covering 52 categories including cancer, diabetes, heart disease, vaccines, energy medicine, child health , and GMOs to mention a few. Stay connected to the latest innovations by visiting the site often.